The song by Manfred Mann was written by Bruce Springsteen …… and its "Wrapped up like a Deuce … another runner in the night"
"Cut loose like a deuce" Springsteen. Last edited by 67BelAir427; 01-17-2019 at 03:11 AM. Went down the rabbit hole of looking up Blinded by the Light lyrics and have to know: What kind of car is a curly wurly? Lots of Deuce word uses including w/ Novas before Yenko but of average car enthusiasts who may understand the '32 Ford thing, what percent would actually know who Don Yenko was much less, ever heard of the '70 LT1 Nova Deuce? Interesting about Springsteen's song is his original words 'Cut loose like a Deuce' is actually a card game reference for cards quickly discarded, 2's being the least valuable. But what people seem to forget is the french word for 2 is Deux! So many english version of a foreign word/language bastardise it. 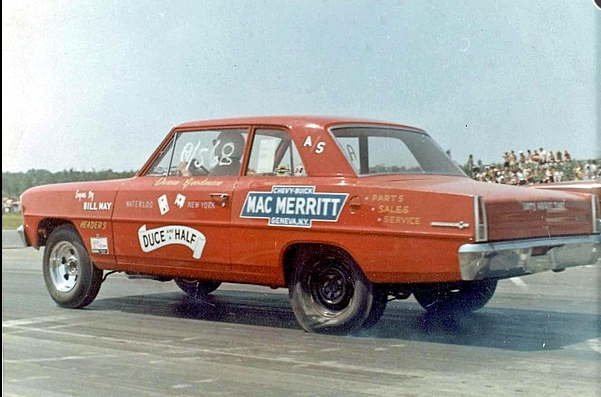 Around this part of SW Ontario, Chevy II's have long been known as DEUCES. The '69 and laters not so much. That way when your talking to a guy about their car, and he says "it's just a lil Deuce with a 350 and 4sp", one has an idea of what there talking about. It he claims a Nova, it's usually a '69 or later. Early iron ALWAYS had the Coupe after Deuce to identify it. For me at least, EZ Nova's explanation is right on! I grew up in the Canadian prairies in the Sixties and early seventies. That's exactly how the slang went for us too. '69 and up Novas were Novas. Earlier Chevy II's were either "Chevy II" or "Deuce". And if it was a '32 Ford Roadster, then it was (still is) a "Deuce Roadster" ("coupe", "roadster", "tub", etc., depending upon the body style). For us though, '32 Fords were few and far between.